There's a certain kind of action movie that's a bit like comfort food. No matter where you get it, it's always familiar, welcoming, and that comes with a degree of predictability. And that's ok! Not everything has to push boundaries too much, as long as what's there is well-crafted, as I'd say Gridlocked certainly is. Pop pop! It's Stephen Lang. without too much standing in the way. 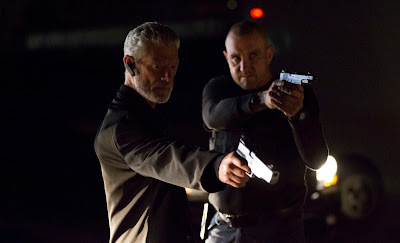 Where a lot of straight-to-VOD actioners go wrong is when they think they're smarter than they are, and fill the far-too-long spaces between the action sequences with faux art-school nonsense or overwritten rants that no one wants to see. Not so with Gridlocked! It's dumb (though charming) as hell but it gets to the fireworks factory right away. Gridlocked might as well be a remake of the 1991 Michael J. Fox/James Woods action movie The Hard Way, lifting wholesale not only the storyline of a cocky actor being paired with a rough-edged cop as hijinks ensue, but the villain from that movie (Stephen Lang), who’s somehow even more over-the-top and unhinged here here than he was in the 1991 film. Danny Glover is assuredly too old for this line of work! The Hard Way isn’t the only 90’s action film that Gridlocked pays homage to. The entire film is a love letter to those mindless actioners, many of them straight-to-video affairs, that I grew up with. 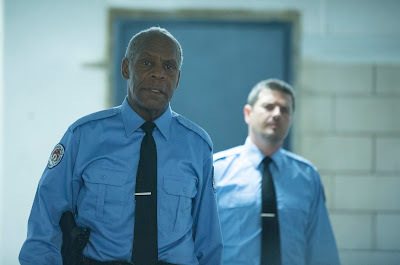 Lethal Weapon, so heavily ‘honoured’ here that Danny Glover plays the police captain (and of course utters his iconic line), is probably the most high profile of these, but the tropes and formulas are so familiar that if you've seen practically any movie starring Steven Seagal, Dolph Lundgren, or Bruce Willis when he was cool, you'll feel right at home here. 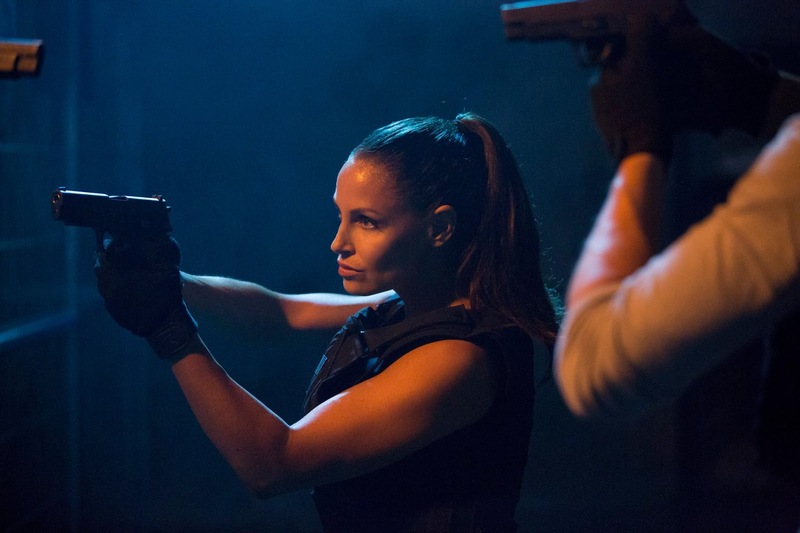 The one thing people will, and I daresay should, want most from Gridlocked is the action sequences, and I'd say they're better than expected, and at times approaching great. The fights are done in a surprisingly realistic way (in a lot of these movies they seem a lot more cartoonish or generally more choreographed, like a Van Damme vehicle), all things considered, and there's a variety of creative setups to be used as backdrops. 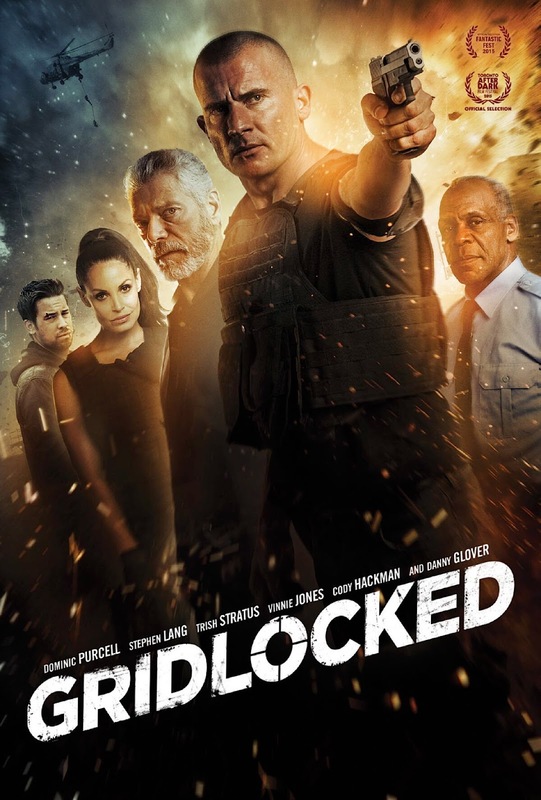 Gridlocked mostly seems to be trading on the fact that it's pretty violent, even for this sort of fare, and the R-rating is well-earned. Trish Stratus does a really great job here and might have been a better lead. The cast of Gridlocked, while none of them could carry this alone, make for a fun ensemble that always seems genuinely into the movie and nothing is phoned-in. 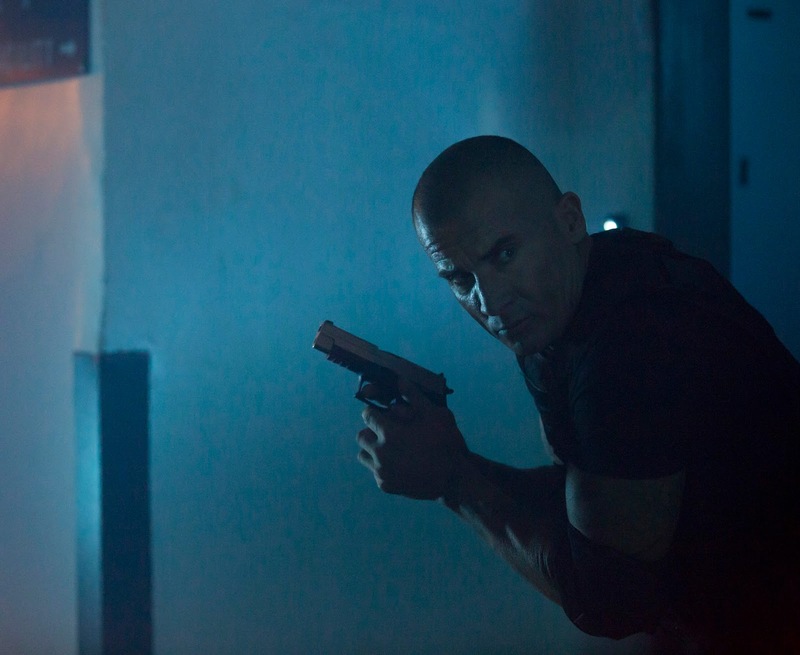 Dominic Purcell is fine as the lead, but it's the scene-chewing Cody Hackman, Trish Stratus, and the performances of both Lang and Danny Glover that make this one great. Stratus, in particular, does some great work here and shows way more personality than Purcell. A movie where these two roles were switched would be pretty outstanding. If you're down for some silliness, a titanic amount of spilled ammunition, blood squibs galore, and you thought 'hey, these Fast and Furious movies would be so much better without any cars in them', Gridlocked might just be your new jam. It's got all the right elements in mostly the right places, and frankly, that's a lot better than we normally get.